These small mobile shops make rounds in the neighbourhood carrying small items: little sweets, hair clips, ribbons, toys, etc. 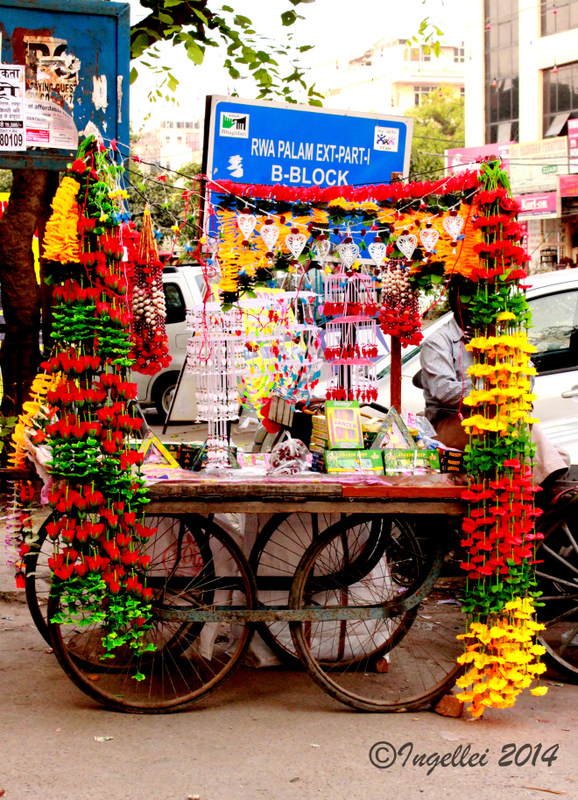 Around diwali, they look quite festive with flowers and other items to welcome the festival of light. 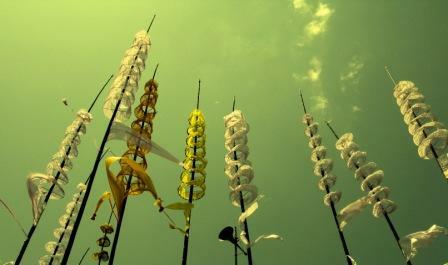 The satra is the prayer flags used in the religious rituals among the Meiteis. It can be cited at most religious places (shrines). The layers of spiral is made of cotton cloth with designed patterns cut out. Most commonly used in white, it is also found in different colours. Personally, I find it aesthetically appealing.